At The Rose Center experienced clinicians will be evaluating and treating the individual suffering from vertigo or balance deficits with state-of-the-art equipment. 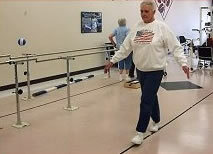 Clinical experts in the field of balance and vestibular disorders are available to address a patient's specific problem. In addition, a network of other providers ranging from vision specialists to medical doctors are available to the patient's request to address special needs in this area. 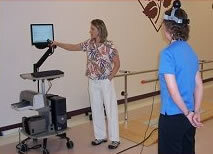 Balance Master System offering Computerized evaluation of dynamic visual and balance deficits. The information gathered from these evaluation finding assist the therapist in developing a treatment program focusing on patient specific deficits. Video-Oculography, a highly specialized evaluation tool to assess eye movements. 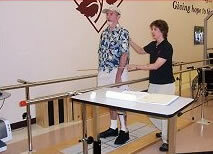 Imbalance and Dysequilibrium is a common problem in the elderly. 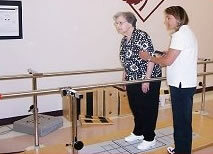 Our focus in managing balance and mobility disorders utilizes an evidence based assessment and treatment approach. 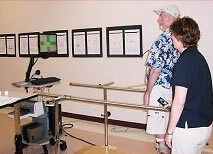 Emphasis is placed on impairment reduction treatment strategies customized to each patient's individual impairments. Clinical outcome studies have demonstrated that treatment models utilizing this approach provide better outcomes than focusing on the pathology alone.